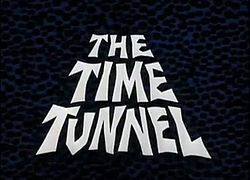 Remember “The Time Tunnel,” the short-lived but fascinating television time travel drama from the mid-60s? Every new episode would find scientists Tony Newman and Doug Phillips landing in a different historical setting, usually on the eve of some major event, such as the sinking of the Titanic, the Battle of Little Big Horn (General Custer and Crazy Horse), or the bombing of Pearl Harbor. (Unfortunately, they never could persuade folks that disaster loomed.) To this day, I credit that show for helping to stoke a lifelong interest in history and to fuel my imagination with thoughts of going back in time. What if time travel was possible? What places and times would I want to visit? Here’s an off-the-top-of-my-head list, not exactly an exotic one, but it sure would be a fascinating set of journeys. Feel free to add yours in the comments! New York City, 1880s — My favorite time travel novel, Jack Finney’s captivating Time and Again (1970), is set in early 1880s Manhattan. There’s a scene in the book when his protagonist, Si Morley, realizes that he made a successful journey back. It remains one of my most favorite reading moments, ever. New York City, 1920s — I’d be at everything and anything by George Gershwin, Rodgers & Hart, and Cole Porter. I’d be at the jazz clubs of Harlem. I’d be at Yankee Stadium watching Ruth & Gehrig. I’d be hanging out in Greenwich Village. I’d also want to check out student life at New York University, my law school alma mater. The 1920s is one of my favorite decades, and NYC of that time would make for a grand visit. New York City, post-war 1940s and early 1950s — I can’t imagine a better place to drink in the spirit of America’s post-war optimism. I’d also venture out of Manhattan to Ebbets Field in Brooklyn, where I’d watch Jackie Robinson break baseball’s modern color barrier. I’m sure I’d spend plenty of time and money at the dozens of used bookstores in the city. And yes, I’d hang out in the Village during this period, too. Chicago, 1893 — Chicago hosted the Columbian Exposition World’s Fair. The photographs of it look stunning, a city bathed in light. It also marked Chicago’s arrival as a major city. Chicago, 1920s — When I was a kid, one of my favorite books was Albert Harper’s Chicago Crime Book (1969), which told tales of Al Capone and other famous gangsters. Thus was born a fascination with Chicago’s Roaring Twenties. San Francisco and Berkeley, California, mid-to-late 1960s — I’d like to experience the whole California Dreamin’ thing. I’d be the squarest person in Berkeley’s People’s Park, but at least I’d be able to take good pictures. London, late 1880s — Yeah, I’d sleuth around the East End to discover the identity of Jack the Ripper. I’d be drawn to the sinister side of Victorian London. I’ve also read about the food carts of the era and would like to give them a try. London, 1940 — London during the Battle of Britain and the Blitz. It’s such an iconic, defining, dramatic moment in British history. Just thinking about it has me imagining Edward R. Murrow’s radio broadcasts from London as the German bombs were falling around them. Washington D.C., 1861-65 — Washington during the American Civil War. Hot, miserable, and menacing. But fascinating nonetheless. And somehow I’d finagle a way to have a short chat with Abraham Lincoln. Boston, Revolutionary Era — I live in a city where evidence of the early years of the American Revolution is all around us. How cool it would be to see Boston of that era, perhaps bumping into the likes of John Adams, Samuel Adams, and other remarkable figures of the day. Salem, Massachusetts, 1600s — Will we ever know the full truth about the events surrounding the Salem Witch Trials? It would be fascinating to find out. Ancient Athens — I’d follow Socrates as he traipses around the Athenian marketplace. I’d want to get some first hand lessons in how the ancient Greeks lived, and trace some of the origins of Greek mythology and philosophy. Hawaii, 1920s — Among my treasured Hawaiian collectibles is a February, 1924 National Geographic magazine with 16 pages of incredible color illustrations of the Islands. I can only imagine seeing those sights in person! If I was on Maui during October 1926, I’d go to the hospital in the small town of Paia to say hi to the newborn baby who someday would be my mom. While on Maui, I’d take a train ride on the narrow-gauge Kahului Railroad. Hawaii, 1950s — After WWII, Hawaii was making its way toward eventual statehood. Large passenger airplanes — still propeller-driven, as the jets wouldn’t arrive in the early 60s — now made air travel to the Islands a safe reality. The idea of Hawaii as America’s Pacific paradise was in full bloom. Valparaiso, Indiana, early 1910s — Valparaiso University, my collegiate alma mater, was rescued by the Lutherans in the 1920s after a period of decline. Before that, however, it was a thriving, no-frills, secular college known as the “Poor Man’s Harvard” that provided collegiate, professional, and trade courses to young people who aspired to join America’s emerging middle class. Hammond, Indiana, 1950s — Hammond was my hometown from grade school through high school, from the late 60s through late 70s. By then it was a city in decline, its jobs base shrinking due to the decline of steel mills and manufacturing in Northwest Indiana. But during the 50s it was a thriving small city and an emerging outer suburb of Chicago. Airplanes — I would love to fly in two legendary, early passenger airplanes, the Ford Trimotor (late 1920s) and the DC-3 (mid 1930s). Trains — How fun it would be to take the Pioneer Zephyr, one of the first modern diesel passenger trains, on its popular Chicago-to-Denver run during the 1930s. I’m struck by the fact that this list doesn’t have much to do with my current work. Hardly anything about law, the labor movement, politics, and the like. Not much about war, either, despite that I read a lot about the Civil War, WWI, and WWII. I’m not sure quite what that says about my choices, but unless science develops affordable time travel during my lifetime, this is not a pressing matter. I loved Time Tunnel as a show but now after 40 years I can see that it had to end early, I’m not sure I could stand seeing the time travelers fail to avert disasters each week for years! Good list. I would love to visit several towns and cities in NW Indiana before the automobile took over. Brad, you’re right — at some point The Time Tunnel guys would’ve been pleading with folks in the Middle Ages about fleas & rats and the Plague, and it would’ve been downhill from there. I would love to go on some of those old steam trains that you’ve posted on FB via the Porter Co. Historical Society. That would be very cool. I read your list with great interest. I “Time Traveled” to them in my mind and realized you had joined our family when we visited many of those places. I see us at Salem, Boston, London, Washington DC, Chicago, etc. The Civil War trips with my men. Even when Don and I went to Berkley (we ate at your favorite hot dog stand) you were with us in spirit. We called you telling you how good they tasted as we ate them over a garbage can because it was a football day and every seat and space was filled. Good times we have had over the years. And many more to share! I read Jack Finney’s Time and Again for the first time in the early 1980s. I too was caught up in the intrigue of time traveling to one of my favorite eras. I remember discussing this book with you in our Connecticut house in the early 1990s. Anyone who liked that book must be cool I thought! A few years ago I reread the book. This time I thought I had time traveled to the 1960s to the “modern” setting in the book. Instead of computers and cell phones, they used clip boards and hypnosis to time travel. I am sure the younger generation would be amused by these meager means for a science fiction book but I totally bought the idea to time travel by just willing it. If I could be bold, can I add a character to you list? Indiana Jones. He was born in 1899 and lived through two world wars. The television series Young Indiana Jones had him all around the world meeting extremely interesting people in turbulent times. The documentaries after the show taught me a lot. Our generation just met Indiana in the 1980s when we were young and hip in the movies. He is a part of our generation too! Oh, I think seeing the 1893 Columbian Exposition World’s Fair in Chicago would be at the top of my list to time travel to. Off to get fish for dinner tonight. Bye. Sharon, thank you! You’re right: I’ve made so many of these historical visits with the Driscoll Family! An absolute yes to Indiana Jones, and especially to the Young Indiana Jones series that weaves such great tales into the history of the early 1900s. I know we share an affinity for that excellent series. Hey Dave, if you haven’t already seen it, you should check out Woody Allen’s “Midnight in Paris” that came out last year. It would play well into your “Paris in the 20s” interest that you mention. It’s also one of the best (and perhaps the best) Woody Allen movie since the 1980s. Hey Don, yes, I enjoyed “Midnight in Paris”!